Shop till you drop at Rundle Mall and Unique Opal Mine Pty Ltd. Museum-lovers will appreciate Art Gallery of South Australia and Flinders University Art Museum & City Gallery. Dedicate the 7th (Thu) to wine at some of the top wineries in the area. 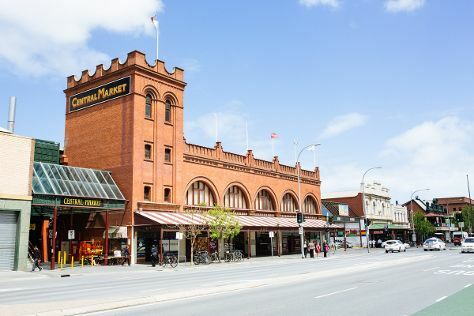 The adventure continues: browse the eclectic array of goods at Adelaide Central Market, identify plant and animal life at Cleland Wildlife Park, steep yourself in history at Adelaide Oval, and admire nature's wide array of creatures at Adelaide Zoo. To find photos, where to stay, and more tourist information, use the Adelaide attractions planning app . If you are flying in from United States, the closest major airport is Adelaide International Airport. March in Adelaide sees daily highs of 79°F and lows of 60°F at night. Finish your sightseeing early on the 7th (Thu) so you can travel back home.